On the 10th (Fri), savor the flavors at Food & Drink. To see more things to do, traveler tips, ratings, and more tourist information, read Margaret River road trip planning site . Kuala Lumpur, Malaysia to Margaret River is an approximately 14-hour combination of flight and bus. You can also do a combination of train, flight, and bus; or do a combination of bus and flight. On the 11th (Sat), wrap the sightseeing up by early afternoon so you can drive to Whiteman. 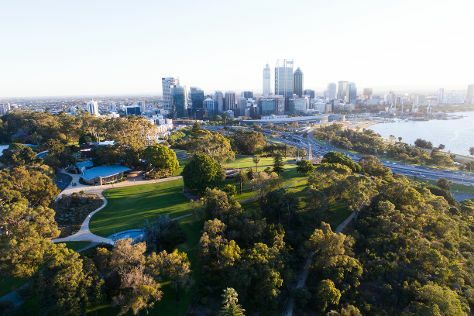 Home to one of Greater Perth's most popular parks, the northern suburb of Whiteman is known largely for its quintessential Australian nature and relaxed atmosphere. Kick off your visit on the 11th (Sat): learn about winemaking at Sandalford Wines Swan Valley. To find reviews, photos, where to stay, and tourist information, read our Whiteman day trip tool . You can drive from Margaret River to Whiteman in 3.5 hours. Another option is to do a combination of bus and train. In May in Whiteman, expect temperatures between 25°C during the day and 11°C at night. Wrap up your sightseeing on the 12th (Sun) early enough to travel to Esperance. Esperance is a town in the Goldfields-Esperance region of Western Australia, on the Southern Ocean coastline approximately 720km east-southeast of the state capital, Perth. Start off your visit on the 13th (Mon): contemplate the long history of Esperance Stonehenge, then take a memorable drive along Great Ocean Drive, then kick back and relax at Twilight Bay, and finally take some stellar pictures from Observatory Point and Lookout. To see traveler tips, more things to do, and tourist information, read Esperance online trip planner . Fly from Whiteman to Esperance in 4 hours. Alternatively, you can drive; or take a bus. In May in Esperance, expect temperatures between 22°C during the day and 11°C at night. Wrap up your sightseeing on the 13th (Mon) to allow time to travel to Perth. On the 14th (Tue), explore the activities along Swan River, then appreciate the history behind Kings Park War Memorial, and then stroll around Kings Park & Botanic Garden. Get ready for a full day of sightseeing on the 15th (Wed): explore the world behind art at Art Gallery of Western Australia, pause for some photo ops at Elizabeth Quay, then appreciate the history behind The Bell Tower, and finally contemplate the long history of The Perth Mint. To find where to stay, maps, other places to visit, and more tourist information, use the Perth trip itinerary maker app . You can fly from Esperance to Perth in 4 hours. Other options are to drive; or take a bus. In May, plan for daily highs up to 25°C, and evening lows to 11°C. Finish your sightseeing early on the 15th (Wed) to allow enough time to travel back home.